On this second Sunday of Advent, we think of Mary, the Mother of Jesus. A humble, ordinary country girl, her life was turned upside down by a visit from the angel Gabriel. She was about 13 years old, possibly as old as 15, inexperienced in the world and not able to fully understand what was happening. Yet her response to the angel’s message reveals a deep spiritual maturity and an emotional stability far beyond her young age. Gabriel greeted her by calling her the “favored one,” greatly blessed by God. This alone shocked her, but when he informed her that she was to bear the seed of Jesus Christ, the Word of the Father (see Hebrews 1:1-2), her surprise and fear became greater. She wanted to run away as far as she could to avoid what this would mean. At the time, all young Jewish girls dream, romantically of course, of becoming the “mother of the Messiah;” but it only happened to one little girl, Mary! The angel told her that the Holy Spirit would plant the seed of Jesus, the Messiah, in her womb and that she would bear a son without human intervention. The shocking news was that the Kingdom of God would be inaugurated in her young, trembling, but receptive body! Here is the greatest gift ever given to a human: to conceive and give birth to Jesus Christ, the only Son of God. The Virgin Birth stands at the heart of the fundamental miracle of Christmas. God chose to enter the world directly, through the body of one young girl. Divine Intervention, with no sin! And we begin to see already, at Christmastime, the cross and resurrection of Jesus, who came and died, and rose again, that sinful human beings can be reborn directly through the Spirit of God! Here is a call to allow Mary to teach us how to celebrate Christmas! Surrender to God is everything! My abilities? They are not the important thing. I simply offer my full obedience to God and say, “Everything is Yours, Lord; everything is from You and is for You!” God alone can, and will regulate and direct all affairs of our lives. What must I do? Simply BE! Surrender all to God! Mary’s “Amen!” to God was the beginning of a life of great suffering. But this was her glory, if only God’s will could be done in her life. This Christmas let us welcome the Kingdom of God, God’s rule over every aspect of our lives! And let us open ourselves to embrace Jesus Christ. Thanks for your sharing. 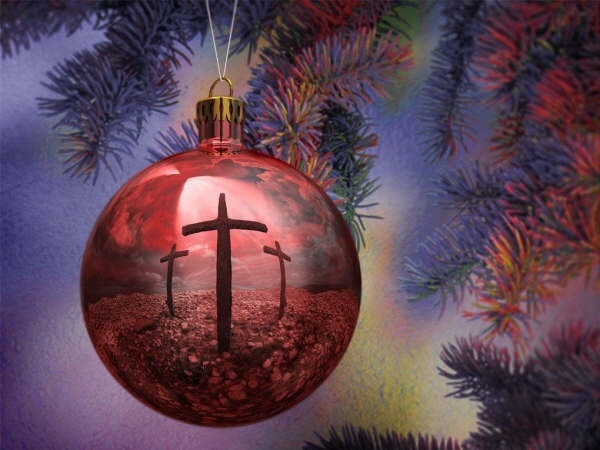 This is an amazing and powerful message of Christmas. I want so much of Mary’s heart and spirit for this Christmas. ‘Amen, Jesus, I am your servant. may it be to me as you have said.’…total surrender and obedient leads to the glory of Jesus and His Kingdom. Not by my own strength, but by his favor and the power of Holy Spirit!